Chrome diopside certainly won't win any contests for the most beautiful name. To most people, it sounds more like a car polish than a gemstone. But don't be misled by that! Chrome diopside has a beautiful rich green colour and an amazingly low price. 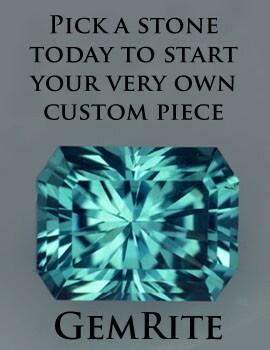 In fact it is the most affordable gemstone in a pure rich green. There are a few drawbacks. Chrome diopside is mostly available in small sizes: in the rare large sizes, the colour actually becomes so rich that it is too dark. 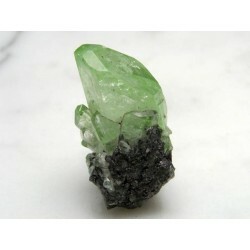 But for bright green accent stones, chrome diopside is ideal. However, it is relatively soft, with a hardness of only 5.5, so it is a better choice for earrings or a pendant than for a ring which will receive a lot of wear. Chrome diopside is mostly mined in Yakutia and Siberia.